Everyone wants to invest just like the legendary Warren Buffett. Unfortunately, few understand the secret to his incredible success. A recent paper, authored by Andrea Frazzini and David Kabiller at AQR Capital Management and Lasse Pedersen of New York University, sheds some light on Buffett's stock-picking skill by applying a level of empirical analysis lacking in the previous evaluations of his investment performance. While the paper is technically dense, the good news is every investor can implement the same core principles. Here's the key conclusion: "We find the secret about [Buffett's] success is his preference for cheap, safe, high-quality stocks." That's the part you can implement, as I will discuss below. 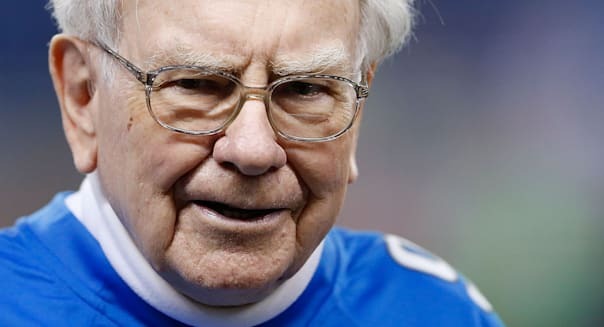 But first, the study also concludes that Buffett benefits from his ability to use leverage from the float of his insurance holdings, at a low financing rate, to magnify returns. While individual investors could use leverage by buying on margin and using option contracts or leveraged exchange-traded funds, many are understandably reluctant to do so because of the increased risk. As a result, Buffett still has an advantage due to, the study found, his "unique access to stable and cheap financing." Contrary to much of what you may read about Buffett's stock-picking success, his genius was in recognizing (before it was generally understood) that exposure to equities with certain characteristics has historically produced high returns. The ramifications of this study are profound. Buffett (unlike many individual investors) does not look for stocks that are likely to "beat the market." Instead, he picks equities that are safe, high-quality, value stocks. If you want to invest like Buffett, you need to look for stocks with exposure to the same factors. That is precisely what the authors of the study did. They applied leverage to a portfolio of safe, high-quality, value stocks and earned simulated returns comparable to Buffett. Here's how you can do the same. He also screens for low price-to-book ratios. You can learn how to calculate price-to-book ratios. Stocks with low price-to-book ratios may be undervalued, but there can be other reasons for a low ratio, unrelated to value. These stocks are known as "value stocks." Finally, he looks for stocks that are high quality, meaning stocks that are profitable, stable, growing and with "high payout ratios." These stocks pay out a meaningful percentage of their earnings as dividends. As a practical matter, it would be a daunting task for most individual investors to put together a risk-adjusted portfolio consisting of stocks appropriately screened for the "Buffett factors." Hulbert recommends the following mutual funds, which come close, and do the screening for you. Daniel Solin is the director of investor advocacy for theBAM Allianceand a wealth adviser with Buckingham. He is a New York Times best-selling author of the Smartest series of books. His latest book is "The Smartest Sales Book You'll Ever Read."